Humans have long explored the ocean at a dirigible’s pace. Graham Hawkes plans to change that with a sub that flies. Still, it meant that Hawkes had to drive the 400 kilometres round-trip from Monterey, California, to his workshop north of San Francisco to get new prop blades – an errand that took until 3 am. But because today’s my day to get behind the controls, I’m all for getting the submersible in top working order. Like Behel, I’m here at the Coast Guard pier in Monterey for flight school – a training course for prospective Super Falcon pilots. Behel has a bit more flight experience than me, however: he used to fly F-4 Phantom jet fighters for the military. It’s not surprising that he was drawn to the Super Falcon, since the two craft share many of the same design principles. Long and thin, with a tapered nose, the Super Falcon has rear horizontal stabilisers, two large tail rudders and dual acrylic cockpit canopies. It also has inverted wings, which turn the aeroby nautic concept of lift upside down, allowing the sub to literally fly through the water. Whereas conventional subs rely on ballast, the Super Falcon descends as forward speed creates a pressure differential between the top and bottom of the wings. Free of ballast, the sub is positively buoyant, which dramatically increases safety. Lose power and the vessel automatically floats to the surface. Once the Super Falcon has been repaired, the crew hitches a custom-built trailer to the back of a Toyota Land Cruiser and I climb into the sub’s rear cockpit. Hawkes goes over the controls and life-support systems with me, then climbs into the front. As the acrylic canopies descend over our heads, the world outside goes eerily silent. All I hear is the intercom chatter between Hawkes and dive supervisor Dirk Rosen. Then, a slight jolt. The SUV shifts into reverse and slowly backs us into the water. 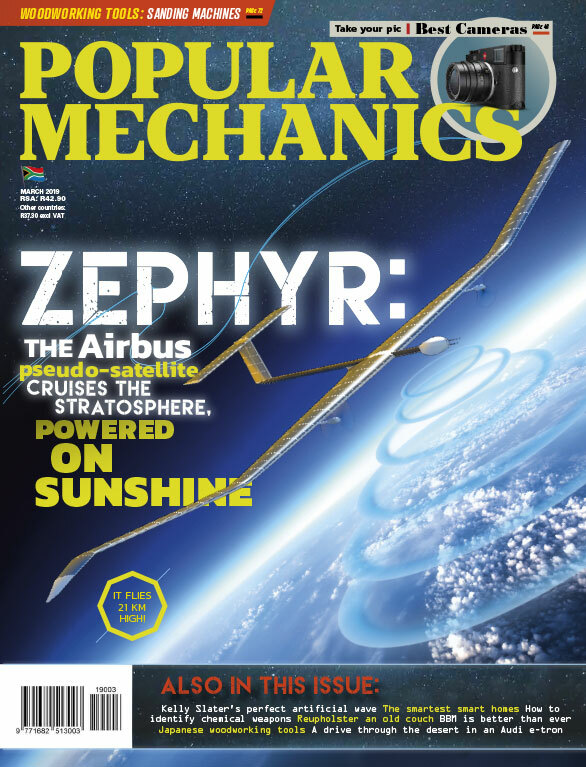 Graham Hawkes is to ocean exploration what Burt Rutan is to private space travel – a relentless innovator who challenges the accepted wisdom in his fi eld by inventing around it. He began his career in the 1960s as a civilian ocean engineer, working on underwater vehicles for the British Special Forces. For the next two decades, he designed submersibles for the oil industry and for scientific research. Some of those vessels found their way into movies. Hawkes piloted one, the Mantis, in the 1981 film – right into the side of James Bond’s rig (at the director’s insistence). Two of his bubble-hulled Deep Rover subs were used by James Cameron for his documentary. But, after launching the first Deep Rover, Hawkes had a nagging feeling. “I remember sitting on a rock in Halifax Harbour thinking we can do better than this,” he says. While aviation advanced swiftly and consistently over the past century – yielding highly manoeuvrable craft that can fly faster than the speed of sound – progress on undersea vehicles had been slow. As a result, submersibles still worked like the aquatic equivalent of hot air balloons, creeping around the oceans at the pace of a jellyfish. Hawkes wanted to explore the concept of moving more efficiently through the ocean and create a sub that would grant unprecedented access to everyone from tourists and legislators to marine biologists. 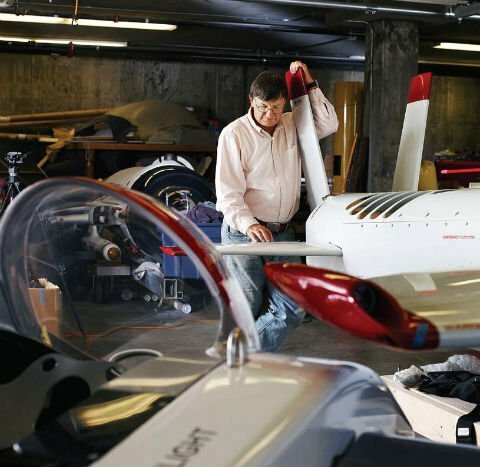 Soaring underwater, he decided, would take wings, and so he founded Hawkes Ocean Technologies (HOT), a skunkworks dedicated to building the Deep Flight family of winged submersibles. The prototypes began to take shape at HOT’s research facility, based at a Californian marina. The Super Falcon, the fourth in the series, has its roots in one of the most ambitious undersea exploratory missions in modern history. 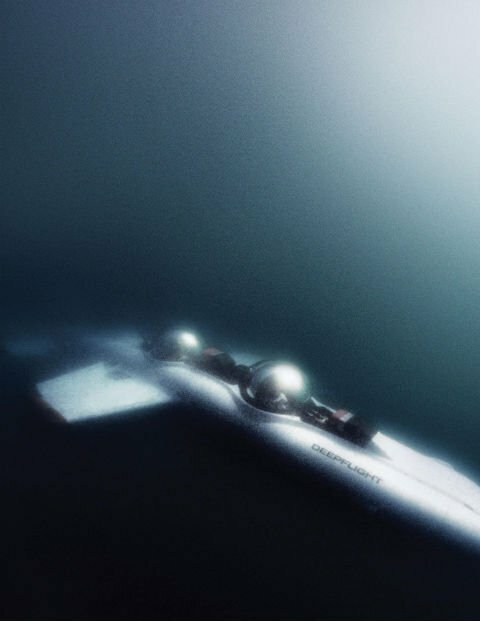 In 2005, Hawkes teamed up with adventurer Steve Fossett to create a sub that could be piloted to the deepest part of the ocean – a spot in the Pacifi c named Challenger Deep, 11 034 metres below the surface. Fossett agreed to fund the sub, named , in the hope of setting the world record for a solo dive. But, two years into the project, he plummeted from the sky over Nevada in his single-engined Bellanca Super Decathlon. Ownership of the Challenger passed to Fossett’s estate when he died. But the technology developed for the Challenger still belonged to HOT. As it happened, Hawkes got the opportunity to use that technology twice more: he was midway through constructing his own Super Falcon when venture capitalist Tom Perkins contracted him to build a submersible that could operate from his , one of the largest sailing yachts in the world. One Super Falcon was delivered to Perkins in November 2008; the other Hawkes finished and kept. The subs diverged from the in two significant ways. They carried two people upright, as opposed to one prone. To avoid the extreme cost of building a hull to handle great depth, the team used a much cheaper and easier-to-fabricate composite of their own design, called Sea Glass 11. The Super Falcon is rated to a depth of 300 metres, but future iterations can be designed to go as deep as desired, and plans for such subs are already under way. The inside of the Super Falcon is tight, but comfortable enough. Seating is recumbent, and my legs straddle a carbon-dioxide scrubber that, along with an oxygen control at my right shoulder, keeps air in the pressurised hull breathable. Each of the two in-line piloting positions has a full set of controls – the throttle is to the left, and on the right is a fingertip fly-by-wire joystick – but Hawkes, in the front position, has the master controls. Our eyes are just level with the chop as we cruise away from the launch; then Hawkes takes us down and we are enveloped by murky green water. Away from the waves and weekend boaters, the underwater atmosphere is peaceful, and for a moment it feels as if we are floating motionless. Hawkes coaches me on how to read the heads-up display – which has an artificial horizon similar to an aircraft’s instrument panel – then gives me control. Piloting the sub by joystick is as intuitive as a video game, but orienting myself in the watery gloom is difficult and Hawkes warns me that I’m listing to the right. I correct the trim, then glide us gently back to the surface, where Hawkes takes the controls and puts my gentle wobbling in the water into perspective. He takes us down abruptly, descending so steeply it’s disconcerting. The water around us goes quickly from blue to dark green and, finally, to brown as we reach 17 metres. We could, in theory, be down here a while. The Super Falcon has a 47-kilometre range and can run 5 hours between battery charges. Its top speed is 19 km/h – not fast by land-speed standards, but positively sports-car-like for submersibles. It can glide and bank like a dolphin, even, Hawkes suspects, perform barrel rolls – though I was sadly not the guinea pig for that manoeuvre. Eventually, the team hopes to add a range of advanced technologies to the Super Falcon – sonar to detect obstacles, hydrophones to hear animals or boats before surfacing, and lowlight cameras. The Super Falcon’s wings are already fitted with lasers that can alert the pilot to obstructions 30 metres or more ahead. Future subs may also have additional thrusters for hovering, as well as a robotic arm to collect scientific samples. In the dark water, I try toggling on the Super Falcon’s lasers, but Hawkes tells me the sub’s batteries are too low. “Turn that switch off and hang on – we’re coming straight up,” he says, and we shoot toward the surface. We breach suddenly, popping a third of the sub out of the water. As I catch my breath, I hear Rosen over the radio. He’s concerned that sailboats are coming into the area and wants to tow the Falcon back to the launch. Hawkes tells him to hold off. “We’re doing one more,” he says, and no one argues. After all, it’s his vehicle.